Referencing Craig Hill’s SEVEN STAGES of BLESSINGS, Terry & Melissa have developed Major Life Questions that pinpoint the practical questions and answers we need at every stage of our development in order to receive the required blessings. The Blessings explored here are not material blessings per se, but rather spiritual blessings – the divine downloads we all require if we are going to experience a satisfying life journey. We will look at the first of the seven stages here, then one after the next in each of the following posts. 1. At Conception: Am I wanted & welcome in this world? Your life didn't begin on your 'birth day,' it began on your 'earth day,' the day you were conceived. Lies of rejection can be planted at conception. Maybe you were "not in your parents' plans" and news of "you" was met with "Oh no! I'm pregnant!" However, God was intimately involved on that day, regardless of the circumstances of your conception. God released 'spirit' into the creative mix. Psalm 139:16 says that "all the days ordained for me were written in Your book before one of them came to be." If you have ever struggled with a sense of not belonging and ever had a question about why you were born, then receive the news, which is also the truth, in the depth of your heart: "WELCOME! YOU BELONG HERE!" May these words of welcome and truth powerfully displace and erase any lies you might have believed. You are wanted & welcome in this world. * We bless the day of your conception. Welcome to this world! * We bless your uniqueness. Out of the hundreds of millions of possible combinations from your parents' DNA, God determined that you would be you. * We bless the timing of your arrival on earth. God wants you here for this time and for His purpose. He gave your spirit to be made alive on earth at exactly the right time. * We bless your destiny. Before the foundation of the earth, you existed in the mind and heart of God. All the days of your life were ordained before one of them came to be (Psalm 139:16). * We bless your home on earth and your eternal home. The same Heavenly Father Who sent your spirit to earth is waiting to welcome you to Himself one day. May your time on earth include a rich relationship with Jesus. There's a big difference between "you made a mistake" and "you are a mistake." Mistakes are things every human being does; mistakes are not what every human being is. However, some of us get this confused. When we make a mistake, we experience guilt. When we believe that we are a mistake, we experience shame. Guilt is about something I've done; shame is about someone I am. How do we discern what we believe? Terry Bone is an author who studies, writes about and speaks extensively about blessing. Terry defines a blessing as "a word, act or ceremony.. that conveys Heaven’s perspective on who we are, and when received, it speaks identity and destiny into our hearts." When do we receive blessing? Have we been sufficiently blessed? What if we missed blessings during critical life-stages of development? Can we recover missed blessings? In a book entitled "The Ancient Paths," these life-stages are identified as: 1. Conception 2. Pregnancy 3. Birth 4. Early Childhood 5. Teen Years 6. Adulthood 7. Senior Years. It is critical that we receive blessing at these important "border crossing stages of life." They often determine a person's understanding and belief about: "Who am I?" and "Where I'm going?" Identity and Destiny. In part II, we will talk about the 7 critical questions that must be answered at life's border crossings, and how blessing answers those questions. While waiting for that, consider this: "Praise be to the God and Father of our Lord Jesus Christ who has blessed in the heavenly realms with every spiritual blessing in Christ," Ephesians 1:3. For people who have a true and meaningful love relationship with Jesus, God has blessings that He not only wants us to believe, He wants us to receive. Until next time. Pizza delivery is a job for desperate men. Five years ago, I was one of them. My wife and I had just come back from a half-year internship with one of my favorite authors. I was an aspiring writer, with few hireable skills. I applied for 60 jobs out west, but just couldn’t find work. I returned home demoralized, broke, and I went to work for Domino’s. The restaurant game is rigged. Working in food service used to be the one place where a guy or gal without options or an education could get ahead by working long and hard. As the industry consolidated, the big restaurant chains hired lobbyists to exempt them from the standard minimum wage. They got their own special calculation. As I said, pizza delivery is a job for desperate men. My fellow drivers all fit the same profile: Forty to fifty. Tired. Broke. Divorcees trying to make some money under the table. Fathers delivering on the side to pay off debts. Alcoholics, gamblers, ramblers. Lots of immigrants with limited options. And me, so young and aspirational, terrified I’d be stuck there for the rest of my life. Our boss was cheap. Cruelly so. He owned multiple franchises and multiple rental properties, all paid for by the labor of his underpaid workers. My thirty day trial period passed, and I didn’t see the rate hike reflected in my paycheck. Fifty cents doesn’t seem like much now, but at the time, that extra $56 per month was like a dream. I pestered my boss for weeks. He kept saying he’d get around to it. Eventually he did. I’ll never forget seeing my first cash-out after the raise. I wept as I drove home that night. It wasn’t the only time I wept. Or screamed or punched my steering wheel so hard that it made my knuckles ache. People, in general, aren’t very generous. When you’re making $5.15 per hour and have to pay for your own car, insurance, maintenance, repairs, and fuel, you need every run to count. But you’re completely at the mercy of hungry strangers. 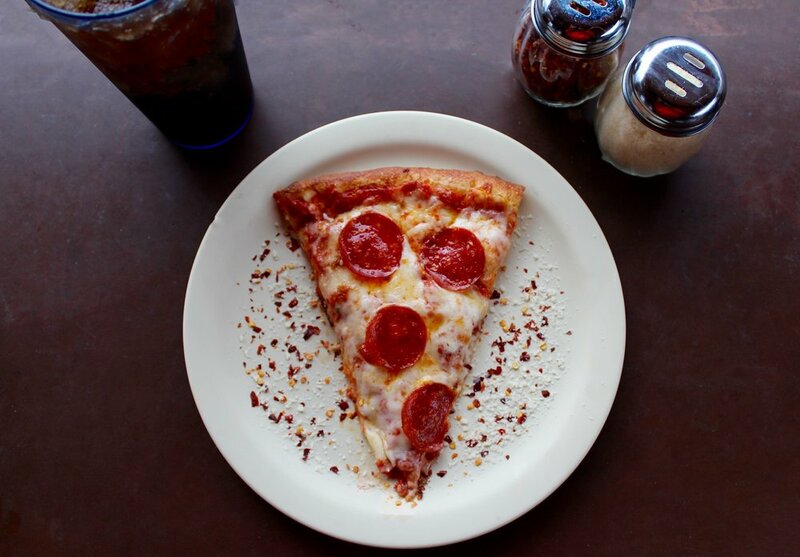 When it comes to pizza delivery, being nice doesn’t matter. I always did my best to get people their food as quickly as possible. I’d smile, make eye contact, and get people laughing, but it never effected my bottom line. People, for the most part, give you their leftovers. If the order came to $17.01, you were lucky. They’d hand you a twenty and say “keep the change.” You wanted the $17.01 runs. You did everything in your power to avoid the $29.20 ones. Delivering pizza is like playing the slot machine. It’s never consistent, but every few nights would be good, and you’d think “hey, if I could just keep making eighteen bucks an hour, I’d be solid.” But it was a delusion. When it was all said and done, you never made minimum wage. So you’d just ignore the numbers. There were houses that purposely didn’t tip. One guy insisted I dole out change to the penny, sending me back to my car to fish through my glove compartment for coins. Autumn turned cold. My car, wracked with entropy and exhausted from a thousand starts and re-starts, began to break down. A timing belt snapped in the middle of one delivery. I wept. Two days in the shop means two days without an income, but the mechanic still has to be paid. Winter came and went. I worked evenings and weekends, dashing in and out of homes in the dark and bitter cold, a professional beggar. A few times per week, I’d have two no-tippers in a row. I’d get in my car and scream at the top of my lungs, wrapping my hands around the wheel so hard it would bend. I was a desperate man. I kept the ticket stubs for every house that didn’t tip. When the stack overflowed my cup holder, I’d transfer them to a plastic bag in my trunk. Soon, it was the size of a pillow. Already prone to depression, I sunk low. I began to fantasize about egging their houses. I ran and re-ran mental scenarios in which I confronted their miserliness. I wrote a screenplay outline for a comedic exposé of the industry. I seriously considered anonymously publicly shaming non-tippers on social media or by posting ads in the local paper. Above all, I dreamed about setting fire to the store. I wanted my place of work to cease to exist. It was completely irrational, but this fantasy world was the only way I could cope with the constant rejection of the reality I was facing. I was invisible. I was worthless. The callousness of my boss and our customers began to break me. I was in a downward spiral with no way to reverse it. By spring, the writing was on the wall. I was too much of an idealistic reformer, and general agitator, and eventually the boss fired me. I contacted his lawyer and threatened to sue for wrongful dismissal. I needed the tide-over money that badly. We eventually settled out of court. The drivers I worked with were in a near-constant state of conflict with each other, always bickering over who got which run, who got to take a double order, who hadn’t done their fair share of dishes or box-folding, and so on. It was the outer expression of an inner struggle. I tried to avoid the drama. Whenever I finished my duties, I’d read or chat with the college kids who manned the front-of-house. There was one guy up front who was especially nice. I’ll call him Adam. Everyone who works in the pizza business does so temporarily. Even drivers who are considered “lifers,” guys who’ve been there ten or fifteen years, they’re just passing through. Not Adam. Adam was different. Adam was happy. He had a permanent smile etched on his face. While the rest of us grew doughy from our late night pizza suppers, Adam was lean and fit. He was disciplined, organized, driven, and hungry to learn. He’d do anything for the boss. He’d take a delivery. He’d make a pizza. Answer phones, do the dishes, clear out the walk-in freezer, pick up the boss’s kids from school. When he wasn’t running errands he was in the back office with the boss, asking questions and discussing strategy. Unlike the rest of us, Adam had a growth mindset. He didn’t let his circumstances get him down. He saw it as an opportunity to gain insight and expand his abilities. He learned marketing, accounting, distribution, management. While we were shooting the breeze or dreaming of our inevitable exit, Adam was leaning in and acquiring a ton of transferable skills. Not that he went anywhere. The boss was smart. He promoted Adam to manager and eventually brought him in as a partner-owner of a new location. While pizza delivery is now a distant memory/nightmare for me, Adam now runs his own business. I regret my time in the pizza business, obviously. I wish I’d seen what Adam saw — not so I could turn around and exploit others like my boss had, but to gain the skills necessary to build a company that could make a net-positive product, offer meaningful work at liveable wages, and contribute corporate profits to the common good. I could have saved years of work. I eventually got there, but not until I adopted Adam’s growth mindset. After I got fired, I didn’t know where to turn. So I hit the library. Hard. I read biographies, autobiographies, personal development books, and business manuals, hungry for actionable knowledge to help me find firm ground. They helped me find my footing. After taking some baby steps, I learned to walk. Now, as I create distance from the poverty of the pizza business, I look back and realize I could have started the journey far sooner. I guess what I’m trying to say is: Don’t wait. Grow now. Oh, and please tip your delivery guy. The announcement went first to the shepherds. They didn't ask God if He knew what He was doing. Had He gone to the theologians, they would have first consulted their commentaries. Had He gone to the elite, they would have looked around to see if anyone was watching. Had he gone to the business people, they would have first checked their schedules. Instead He went to the shepherds who didn't know enough to tell God that angels don't sing to sheep and that messiahs aren't wrapped in rags and sleeping in a feed trough. 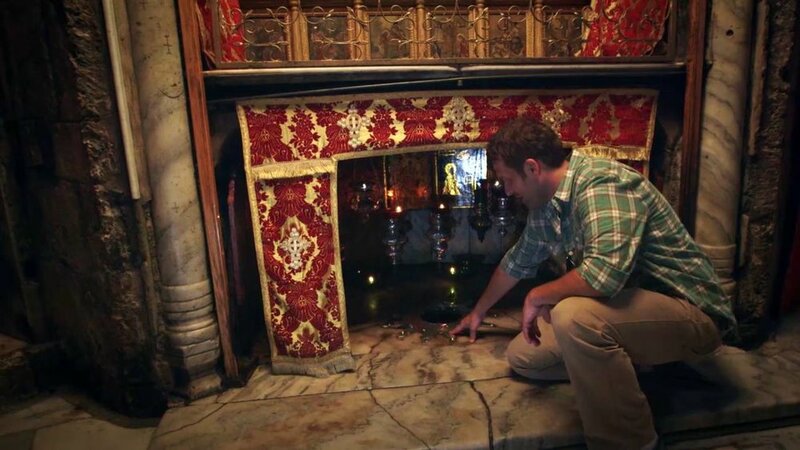 Today, a small cave outside Bethlehem marks the supposed birthplace of Jesus. The entryway is so low that you can't go in standing up. You have to stoop. The same is true of Christ today. You can see the world standing tall, but to witness the Saviour, you'll have to get on your knees. What a privilege that we can come to Him, our Creator and the God of this universe, in a very real way through His Son, the King of kings and Lord of lords! May you know His amazing, awesome, and perfect Love today, this Christmas, and always.